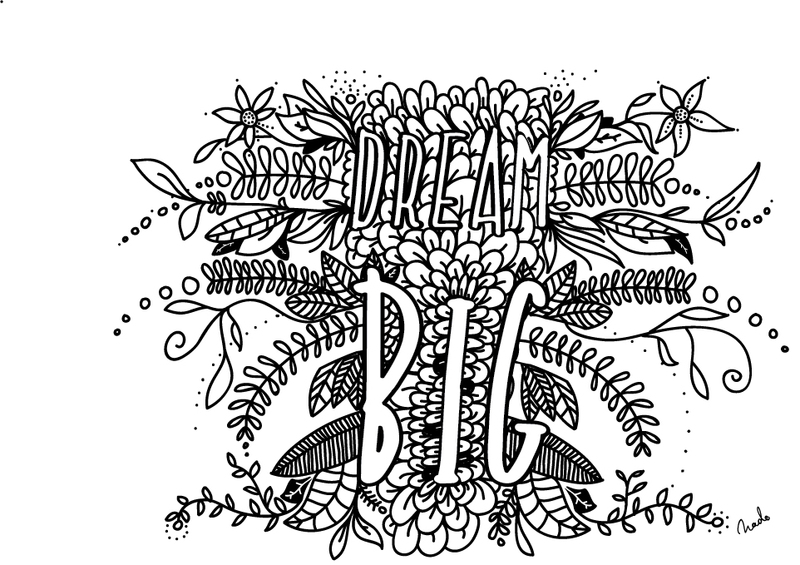 "DREAM BIG" illustration for the coloring page relax project. You can download the page, print it and color it as you like and relax. Hashtag your creation, so I can see it #coloringrelaxproject Download the lineart here:coloringpage4 Enjoy!